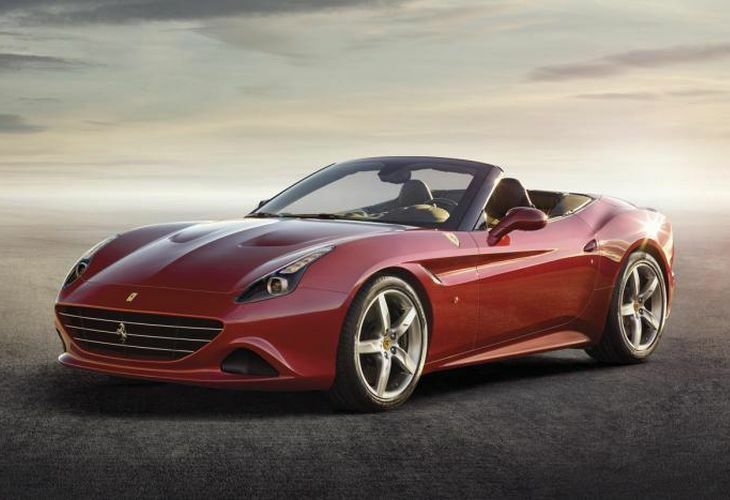 This week’s Geneva Motor Show is bound to showcase some exciting new motors and many enthusiasts will be eager to check out the new Ferrari California T. With a familiar look based on the 2008 California this model is said to be a thoroughly face-lifted version, which has been re-engineered to the point the manufacturers are regarding it as a new model. The turbocharged 553bhp 3.9-litre V8 has been face-lifted for this new Ferrari and this will be the first to feature a folding hardtop that retracts in just 14 seconds. The specifications of this model are documented on Auto Express as they highlight this new Ferrari as the first front-engined direct-injection V8-powered car. With the new version of the California T a 3,855cc V8 is boosted by a pair of twin-scroll turbochargers, while the previous model featured a 4,297cc naturally aspirated V8. The top speed is said to climb from 194mph to 196mph, although only a fraction has been cut from the 0-62mph time, dropping to 3.6 seconds. Apparently, the engine is related to the unit the firm makes for Maserati Quattroporte, but this has been completely overhauled for the California T, along with revised steering features as well as a new suspension set-up, and this also contains the F1-Trac traction control system. While we cannot help showing images of this Ferrari in red, some new colours will be available including Blu California and a dark Rosso that pays homage to the classic Ferraris. Prices are said to be similar to the previous California T starting at around £152,154, while the first range of UK right-hand drive cars are expected this September. Will reports of a new Ferrari always excite you? Let us know what you think of this new model in the comments section below.